The Peugeot 307 2.0HDI EGR Removals have proven to be very successful. We offer a completely bespoke EGR Delete session for both the 90Bhp and the 110Bhp models. We’ve seen a lot of interest in this service and many people have tried this before but with not much success. We’ve seen from online reviews and DIY’s that people have tried to just Blank-Off the EGR valve and at first, experience some excellent gains.. But soon after, they begin experiencing problems with the EGR Valve being blanked off..
Why does blanking the Peugeot 307 HDI EGR Valve system cause these negative effects? If the EGR valve is blanked off, then no exhaust gasses will recirculate back to the intake manifold and into the engine. – However, the engine ECU does not know that you have blanked off the EGR Valve, so when the Engine ECU calculates how much diesel to inject on each cycle, it will be doing so with the EGR flow included in it’s calculations. In order to properly remove the EGR valve and stop it recirculating exhaust gasses without the negative effects as described above, you will need to have the engine ECU remapped accordingly to tell the ECU that the EGR valve is to remain shut at all times. The engine ECU will then re-calculate the injection cycle to compensate for the EGR valve being closed and thus you will experience true benefits of having the EGR valve removed. We manually de-activate all EGR valves and offer a completely bespoke service with no need to fit blanking plates in the engine bay, no need to block off pipe work or physically remove or modify any parts in the engine bay. This process is completely reversible and completely safe. If you’re experiencing sticky EGR valves, faulty EGR valves or just fed up with having to keep paying expensive repair bills every time your local garage has to take it off and clean it for you – then our EGR Delete service will definitely put a stop to this. All of our EGR Delete services are completely custom with our very own in-house solution. We do not need to take the ECU out of the vehicle and starting de-soldering chips. All our programming work is done right through the on-board diagnostic plug (OBDII) which makes it very quick, efficient and safe to do. 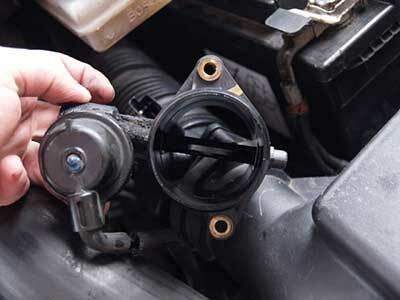 Best of all, if ever you wanted the EGR to be turned on again, it is a very easy and completely reversible process. For more information, please call us on 0844 847 9999 or email us. Tags : Blanking Peugeot 307 EGR Valve, Fixing Peugeot 307 EGR Valve, Peugeot 307 EGR Blockage, Peugeot 307 EGR Deletes, Peugeot 307 EGR Fault, Peugeot 307 EGR Problems, Peugeot 307 EGR Removals, Peugeot 307 EGR Valve Blanking Plates, Peugeot 307 EGR Valve Blocked, Peugeot 307 EGR Valve Faults, Peugeot 307 EGR Valve Faulty, Peugeot 307 EGR Valve Repairs, Removing Peugeot 307 EGR Valve, Repairing Peugeot 307 EGR Valve. is this available outside of the UK? Im in NZ. If so, what is the cost? We do offer our services globally and I have sent you an email with full information and pricing for our services in NZ.